The WHN autumn 2017 calendar includes events designed for the public to meet practitioners in a relaxed setting and share ideas of holistic healing, community and human connection. WHN holds 10 meetings the third Tuesday evening a month. Most meetings take place at IxChel Center in Hartsdale. WHN uses this open loft space, which accommodates dance, yoga, discussion, panels, meditation and film screening. This allows WHN members opportunity to network and collaborate. 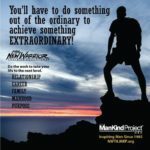 The September 19 meeting at IxChel introduces The ManKind Project, a men’s community for the 21st Century. 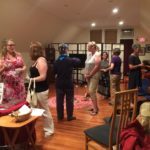 Upcoming meetings include how to choose the right supplements, past life regression, uses for acupuncture, how to connect with angels and discussions on gender and body talk therapy. For the Winter Solstice, WHN extends an invitation for the public to enjoy holistic offerings and refreshments in the festive setting of Wainwright House on December 19, the oldest non-profit, non-sectarian holistic learning center in the United States. The popular panel of astrologers returns with a forecast for 2018. A yoga teacher and psychotherapist will demonstrate meditation for teens as a great test prep tool. WHN Meetings are free to members and first time attendees. Repeat non-members pay $10. Meetings on September 19, October 17 and November 21 take place at IxChel Center, 23 Wilson St, Hartsdale. Doors open at 6:30 PM for networking and begin at 7 PM. Check the website for complete information for all meetings and events, including the Winter Solstice December 19Wainwright House gathering.